Indoor wicker furniture can last for generations if it is taken care of and used properly. This is one reason why a piece of children’s wicker furniture can be something that is passed down from one generation to the next. Think about all of the exciting stories that can be told among families about all the different dolls that were placed in the bassinet or all the great books read on the wicker lounge chair. 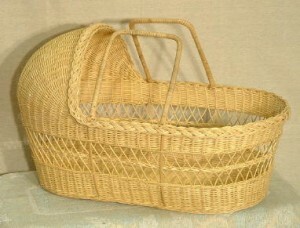 A wicker bassinet is a perfect gift to start this tradition of passing it down. With all of the technology of today with iPhone and iPad apps, a good ole’ fashioned doll to play with and put to sleep in it’s own bassinet at night will never get old. Passing down an indoor lounge chair for your child’s bedroom will allow you to share your memories of sitting on the same chair while stories and books were ready to you by your parents. If you’re worried that, maybe the wicker will not last through the generations from kids playing on the chair or being rough with the bassinet, these items can be fixed and repaired when need be. Finding a local qualified wicker repair person can be all that it is needed to keep it looking like new. With the holiday season approaching fast, now would be a great opportunity to start a new family tradition of passing down that wicker heirloom. If a lounge chair or bassinet is not something that interests you, think about a wicker storage trunk or wicker basket as well.